Make us your #1 choice for fun, excitement, and team building. 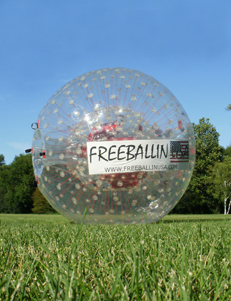 Are you interested in having Freeballin USA come out to your corporate event, birthday party, or team building activity? If so we can bring a portable ramp and Freeballin spheres to you! Please contact us at (815) 276-2125 or via email at info@freeballinusa.com for information on hosting your event.